Have you ever seen something happen and wished you had a camera to capture the moment or you saw an actual photo that made you cringe? Some people are lucky enough to photograph cringe-worthy moments that are taken at just the right time. These photos aren’t what they seem. Still, you can’t help but wonder what was going on in some of them. They will make you cringe and even make you look twice. 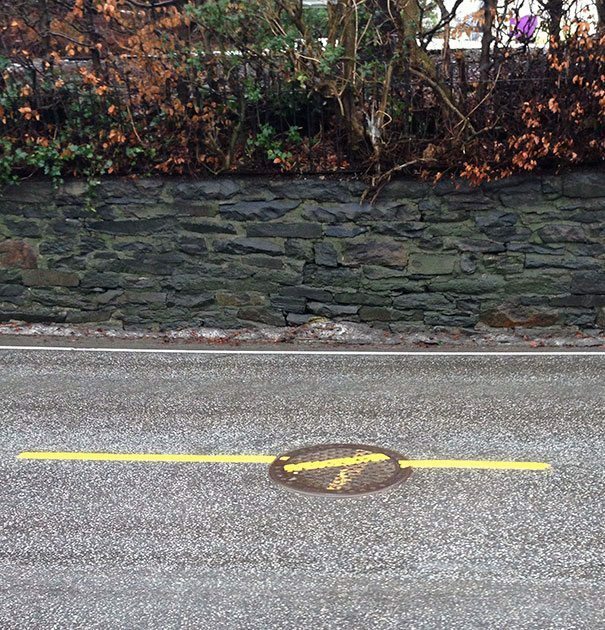 For people who have a touch of OCD or who just don’t like to see things out of place, these photos could be painful. Sometimes, you are just going about your day when something jumps out and blows your mind. It doesn’t have to be anything big, perhaps something that other people don’t even notice. Here are some things that could drive anyone crazy. These photos are all cringeworthy. Why couldn’t they have just gotten this right? While some individuals might not care about things like this, most normal people do. 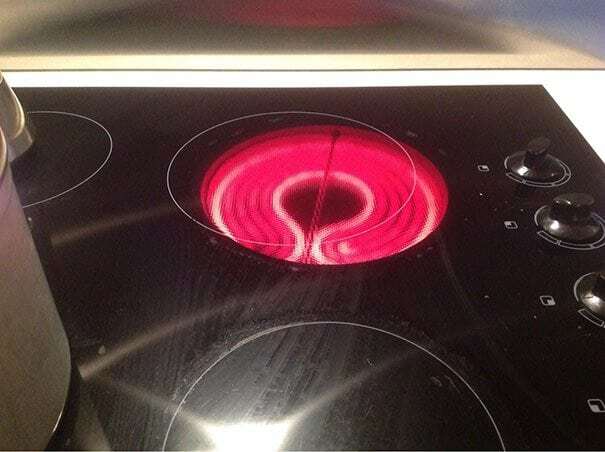 You want so badly to put your pan in the center, but if you do, it won’t cook evenly. Ugh! Why would anyone do something like this? 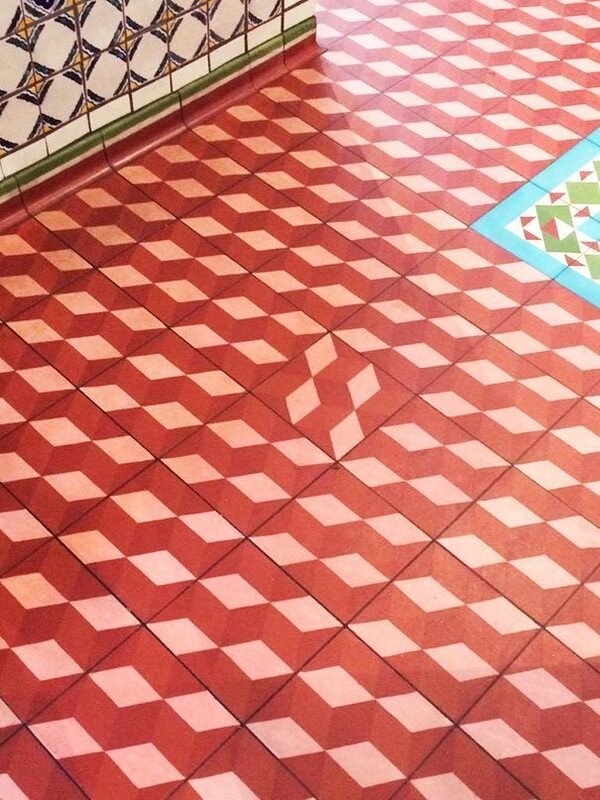 All they had to do was put the tile in place like all the others. Someone intentionally did this to mess with everyone. It’s just not right. Our eyes and brains work together to figure things out. 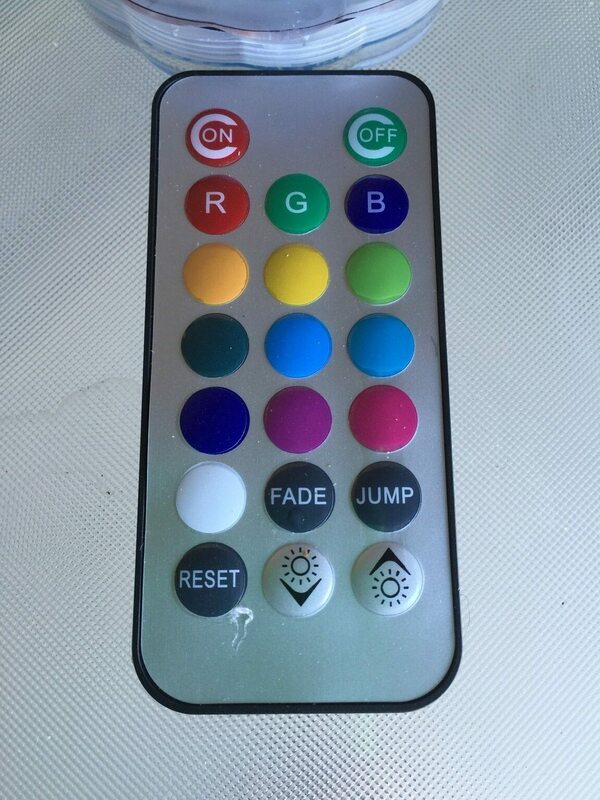 Everything about these buttons is wrong. How many times did the owner of this remote push the wrong button? Bet this remote is in the trash by now. 4) How Did They Manage This? 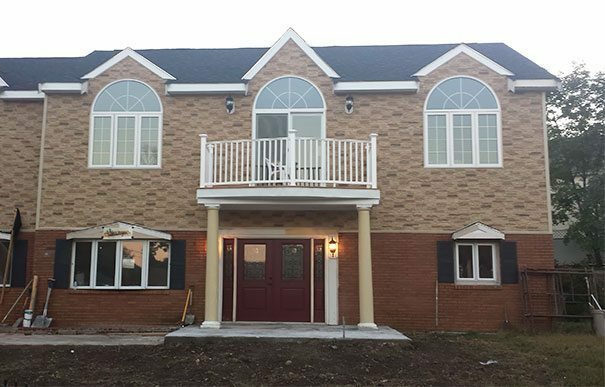 Sometimes, home construction projects don’t go as planned, but how is this even possible? 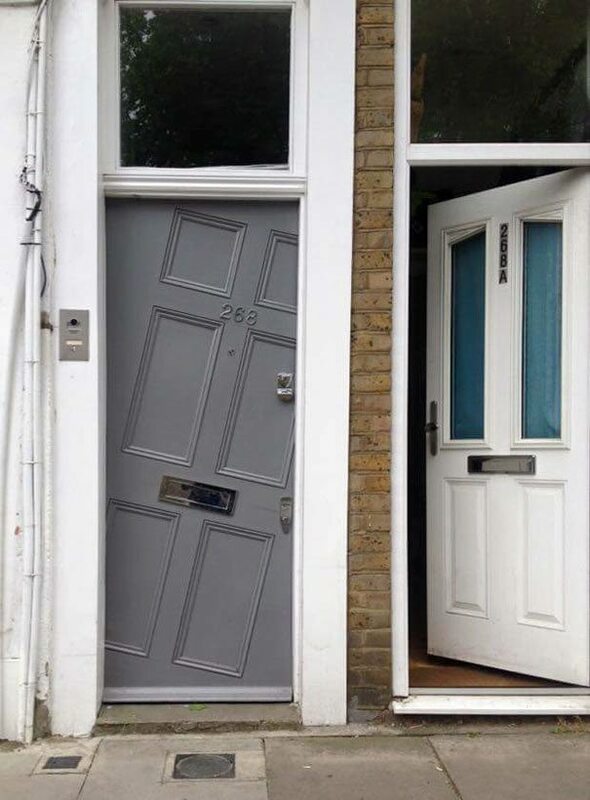 Wouldn’t it have been easier to just get a different door? This must really bug the neighbors. Some people just do things to make others mad. Why would anyone do something like this? 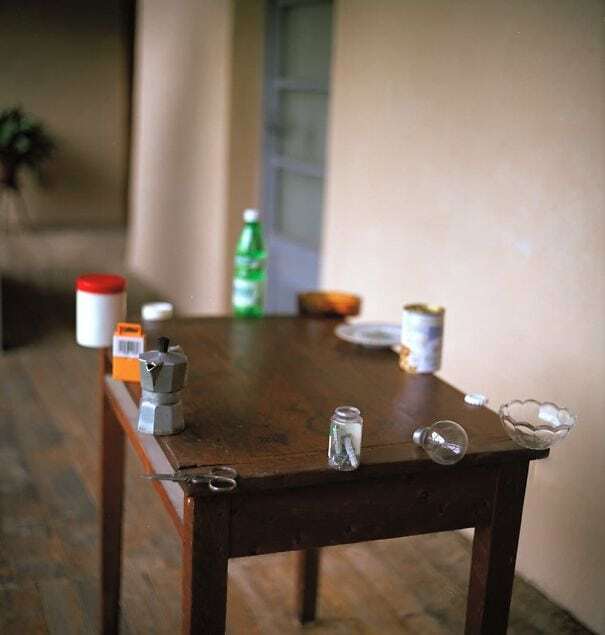 Before you get too upset, this is a dollhouse table. Still, why? Most people like to keep their desktops clean and organized. Not the owner of this computer. 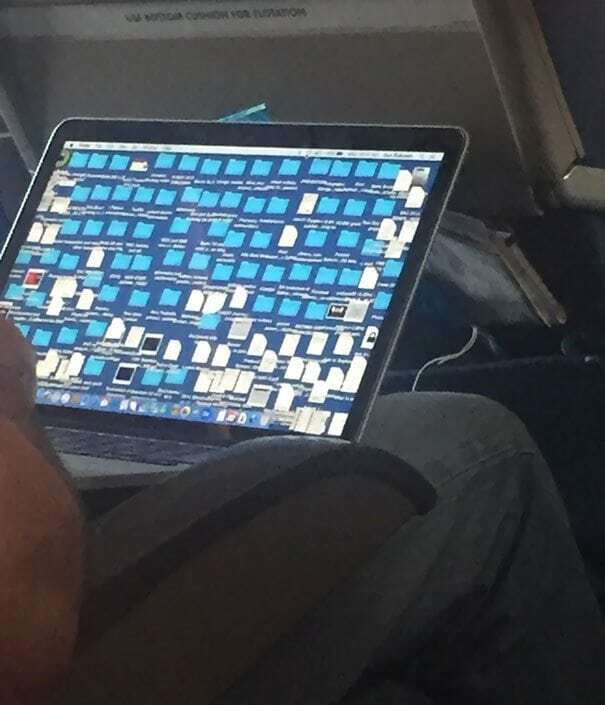 For some reason, this individual created hundreds of shortcuts. There’s no way this person is productive on the computer. Most people encourage their children to play ball away from the house and windows. 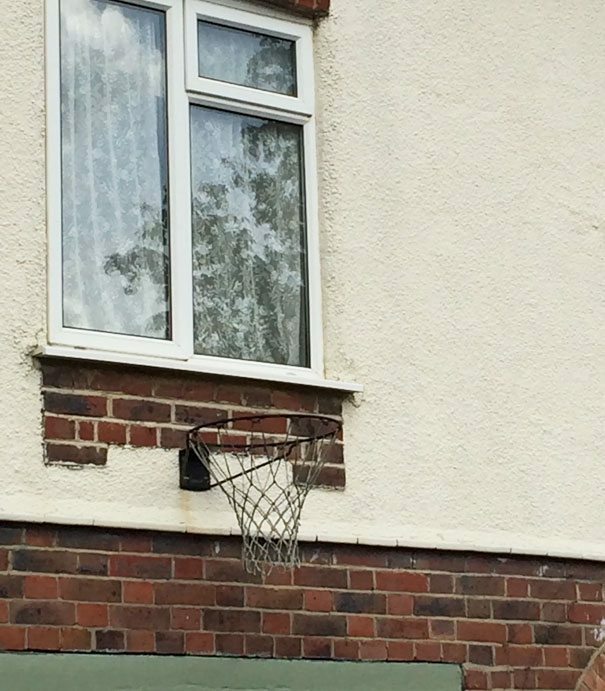 These people put up a basketball next right underneath a window. 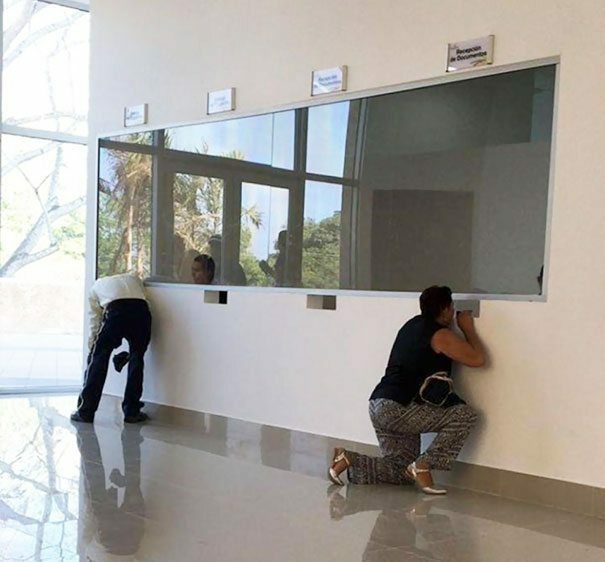 How many windows have they replaced? 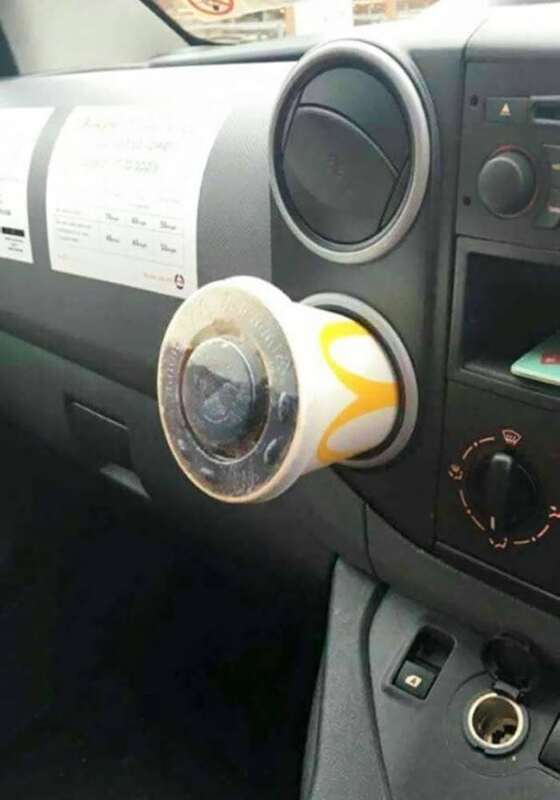 The person who made this car wasn’t very good at designing cupholders. Let’s hope they put a little more thought into the safety features. Why would anyone even attempt to put a drink holder in this position? 9) And None of Them Got Tickets? How can so many people be wrong at one time? Did one person just start it and the others had to follow? 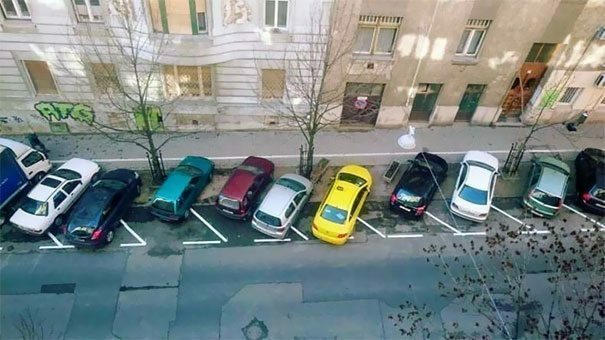 Did someone tell them to park this way? It’s so frustrating! Either this guy is really bad at knots or is just too lazy to untangle his earbuds. This can’t be comfortable. 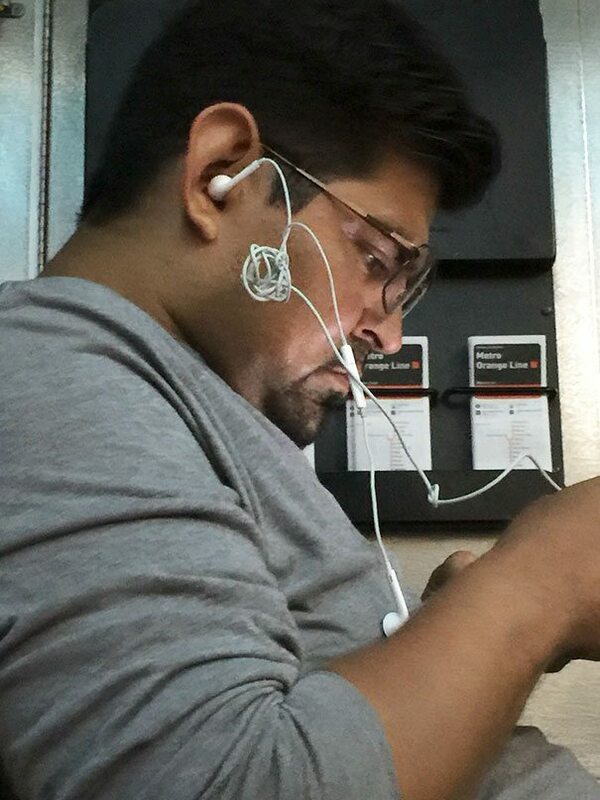 How does he relax and listen to music knowing there is a cluster of cords just inches away from his ear? 11) Where’s the Rest of It? 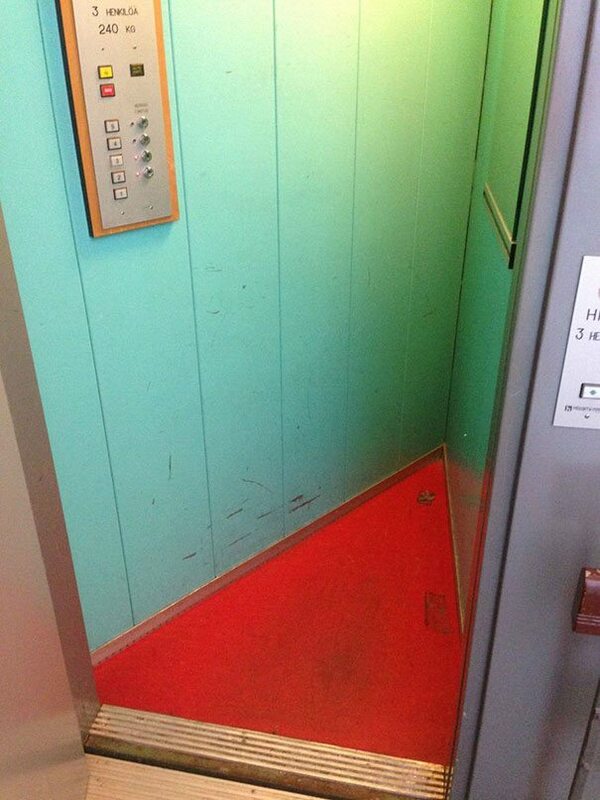 If you don’t like elevators, this one isn’t for you. Most elevators are small and compacted as it is, but this one just doesn’t even seem like it would work right. I wouldn’t want to get stuck in it. 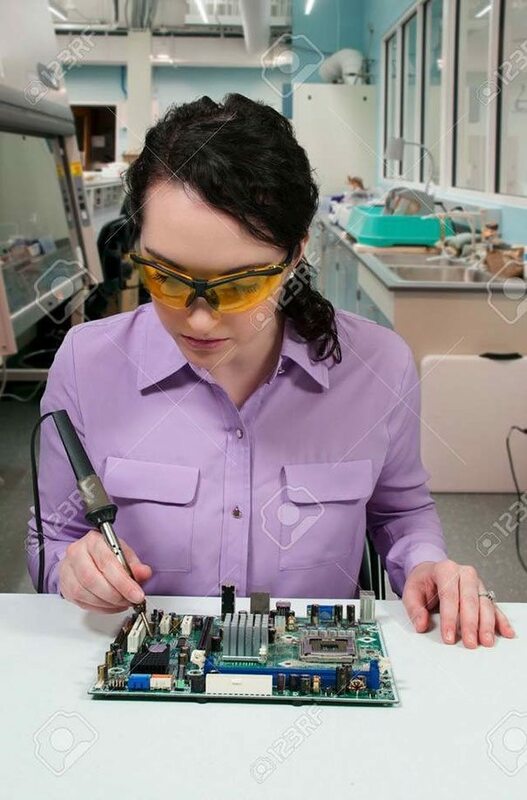 If you have never used or seen a soldering tool, this may not bother you. Anyone familiar with the tool knows that this thing is hot. That girl’s hand would be on fire if she were really using one. It must not have been plugged in. Sure, a glass ceiling is pretty but there are certain places they shouldn’t be installed. A bathroom would be one of them. Nobody wants to watch themselves or someone else use the bathroom. Can you imagine how embarrassing this would be? 14) How Is This Possible? 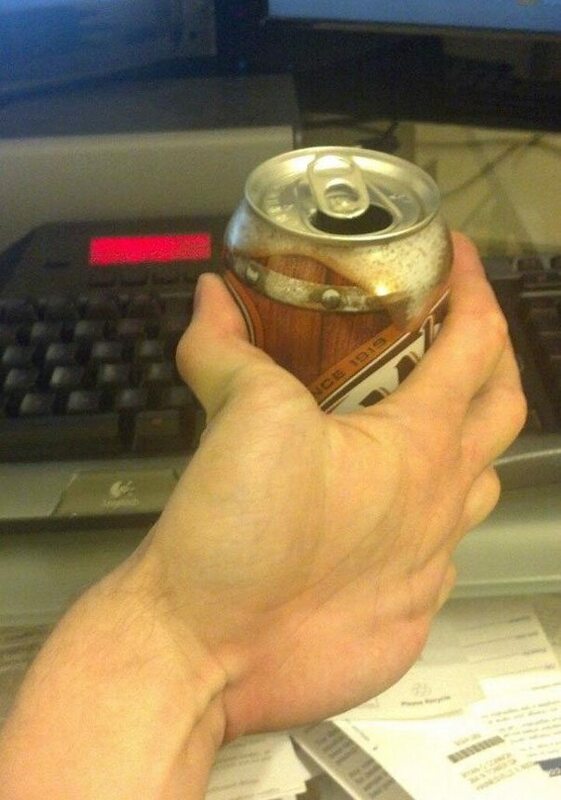 This photo may just blow your mind. How is it even possible? 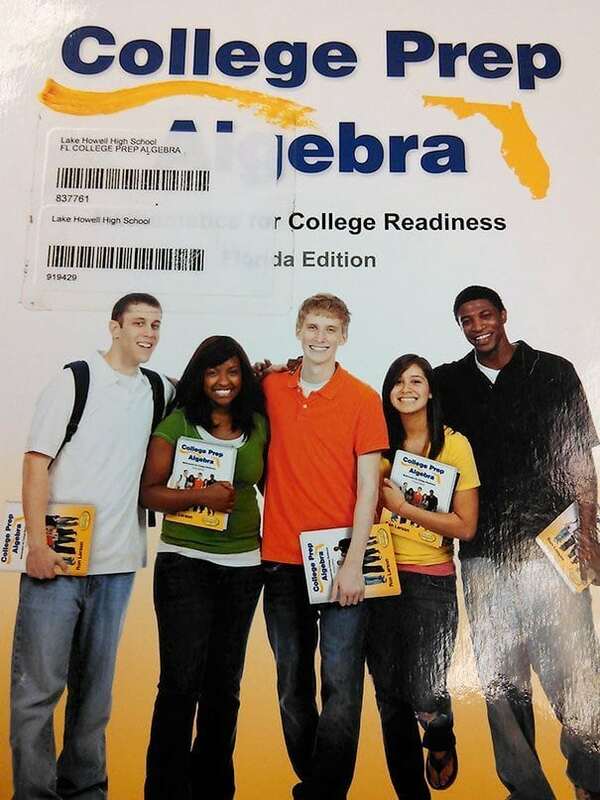 These kids on the books are holding books that have photos of themselves hold the books. What? Yeah, go ahead and try to wrap your head around that. You might think it would be hard to mess up of the pattern of a brick wall yet someone managed to do it. 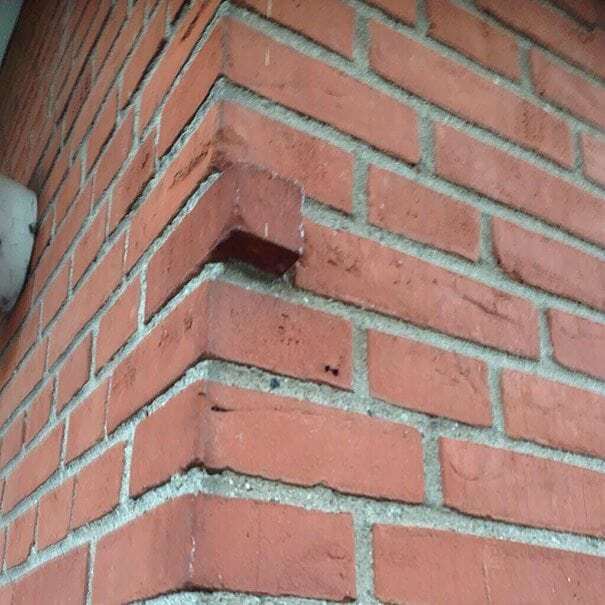 They couldn’t find a brick in the right size? There was nobody to cut it? Come on, did they even try? 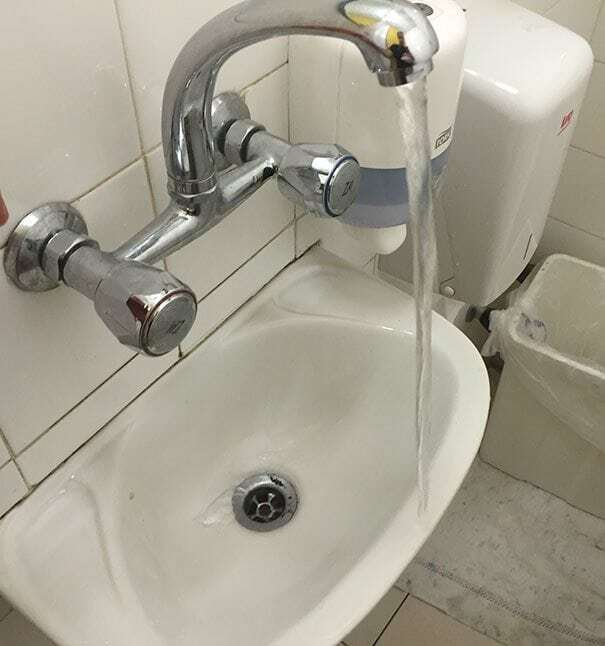 So, if you turned the water on and realized there was a problem, wouldn’t you fix it quickly? 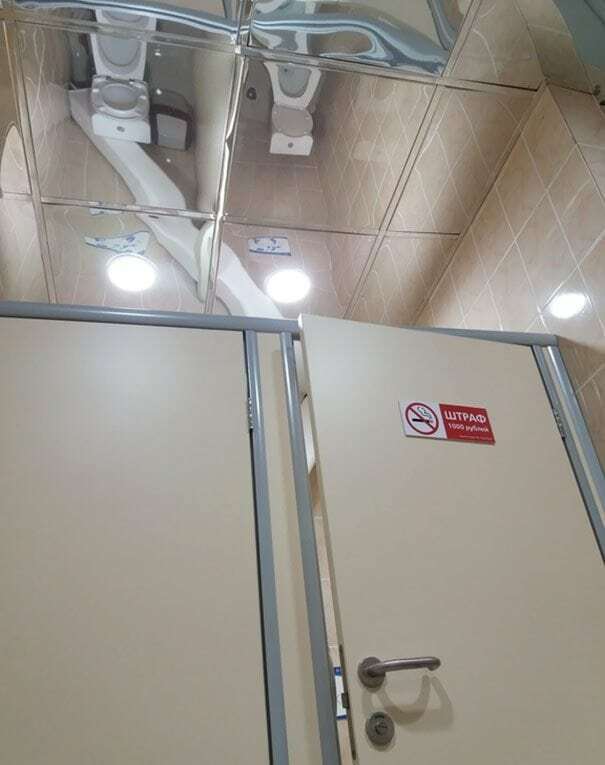 How many floods has this bathroom seen? Why hasn’t anyone repaired it yet? Why wouldn’t this person just pop the pills out in the correct order? Were they too lazy to figure out how to do it the right way? This is just unnecessary confusion. 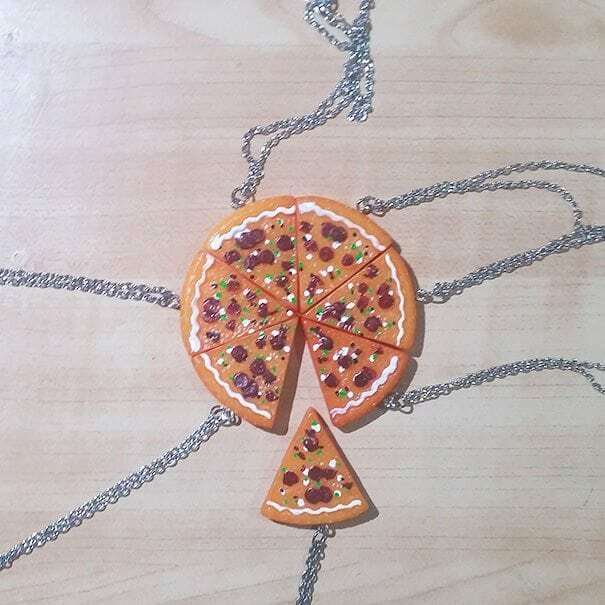 Best friend necklaces are great. This one is perfect for people who have more than one BFF. All the pieces fit together nicely to create a pie. All of them except this one. Oops. Why wouldn’t they have centered the door between the pillars? This doesn’t look right at all. Now this beautiful house is ruined because someone came to work hungover. 20) Which One Is It? Why would someone do this? 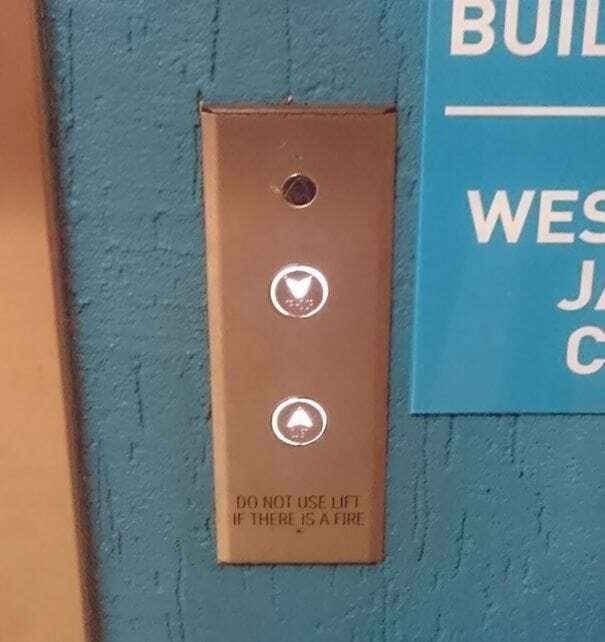 As if elevators aren’t scary enough, now you have to wonder if you pressed the right button. You may never get to the right floor with this craziness. Sure, this could be a coincidence but would you eat it? 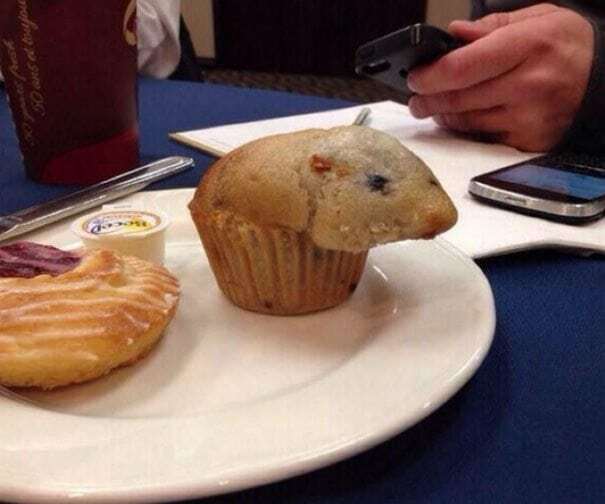 If it looks like a rat in a muffin, it might just be a rat in a muffin. Just opt for the bagel. This is pretty creepy but it might be convenient for this guy. He can drink his beverage in any position. I bet he gets a lot of laughs at parties. 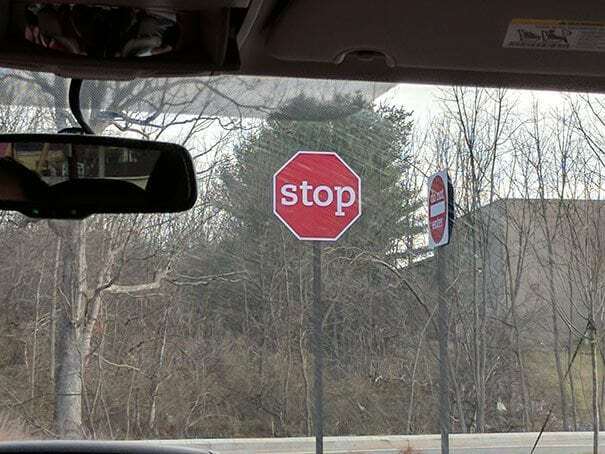 For anyone who feels like stop signs are yelling at them, this one might be a nice surprise. Either the people in charge of making these signs fell asleep on the job or this is a joke. A lot of people probably like it better this way. 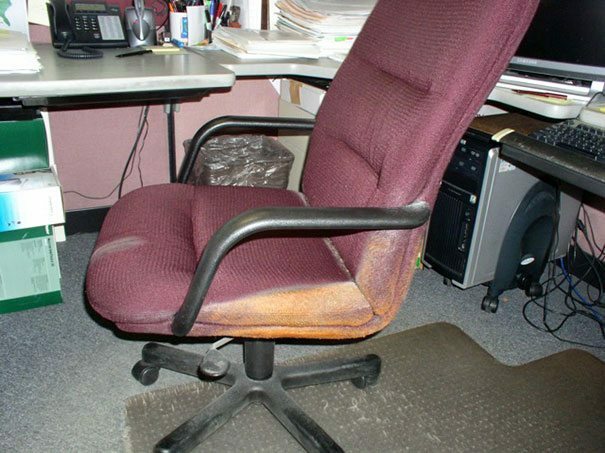 At first glance, it may just look like this chair has faded. The story behind it is much more gross. This is the result of someone wiping their Cheetos hands on the side of the chair every day. Eww! 25) Nobody Is Bothered by This? 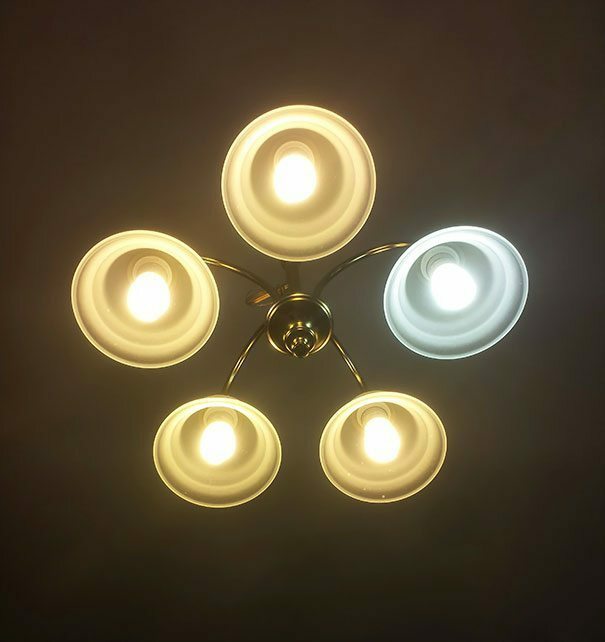 It’s frustrating when a light bulb goes out. I guess we should just be happy someone replaced it. Still, wouldn’t this be a bit distracting? 26) Who Wants a Giant Sandwich? 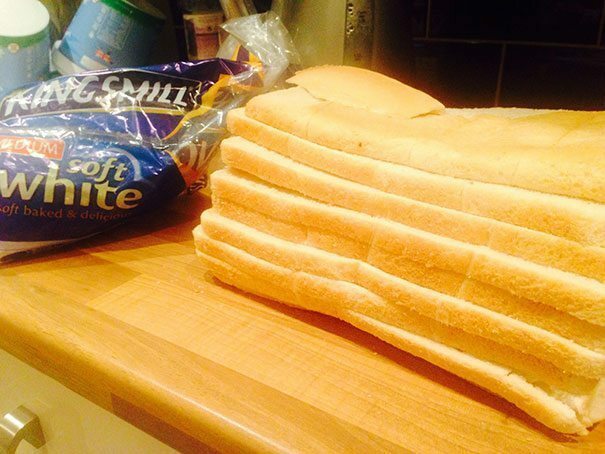 Someone wasn’t paying attention when they sent this loaf of bread through the slicer. They sliced it the wrong way. Now, it can only be used to make giant sandwiches. How do they get any work done when they’re busy laughing at customers all day? This is a pretty dirty trick. Instead of being able to stand and talk, the customers have to bend over to talk into the hole. What a weird company. After a long day of working on the street, it’s easy to see why someone would just want to be done. Couldn’t this person have taken three more seconds to straighten up the sewer cover? I bet someone hopped out of their car and fixed this. 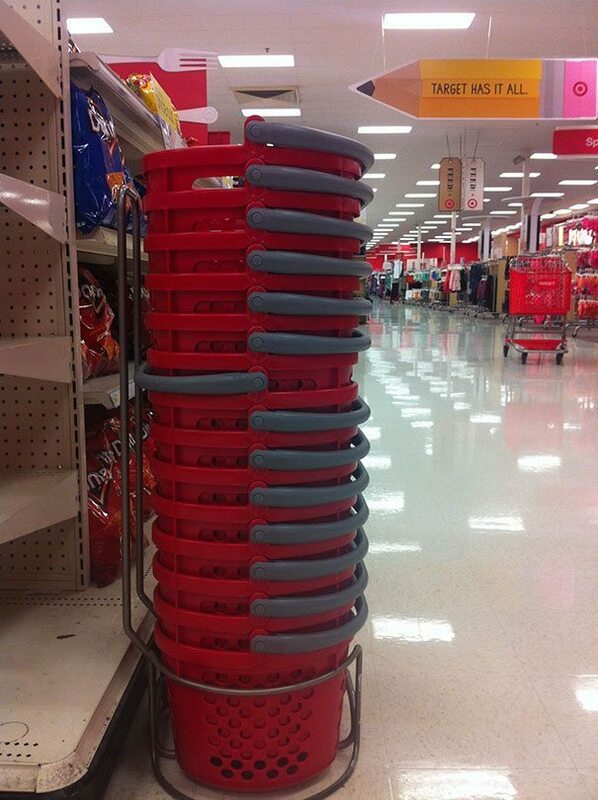 Someone needs a lesson in stacking baskets. There has to be a pattern. It was all going good until an individual messed it up. Hopefully, someone came along and fixed these. 30) Who Can Live Like This? This probably got missed in the inspection because to some people, it’s not a big deal. Anyone with eyes can see that this isn’t right. Who could live in a house like this? 31) Don’t You Mean Push? Can you imagine how much confusion this door caused? 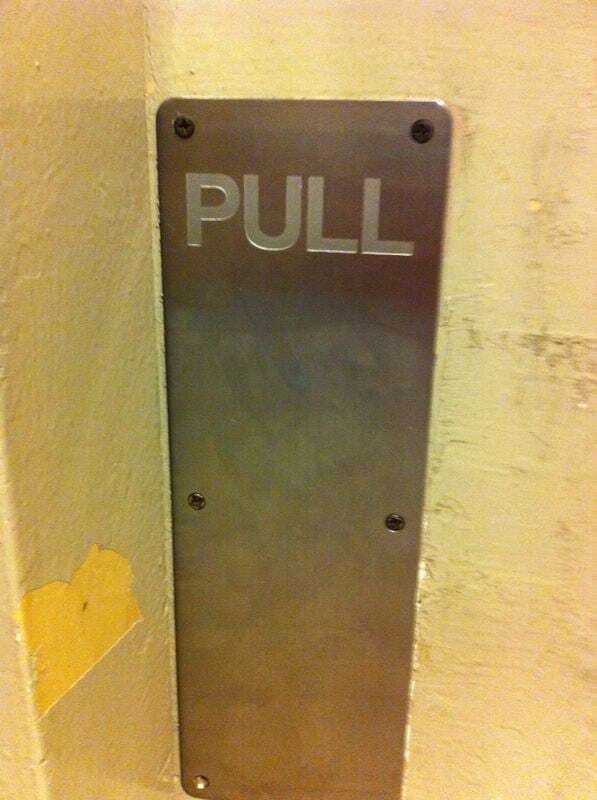 You want to push but it says to pull. Wonder what the other side says? This is the stuff nightmares are made of. 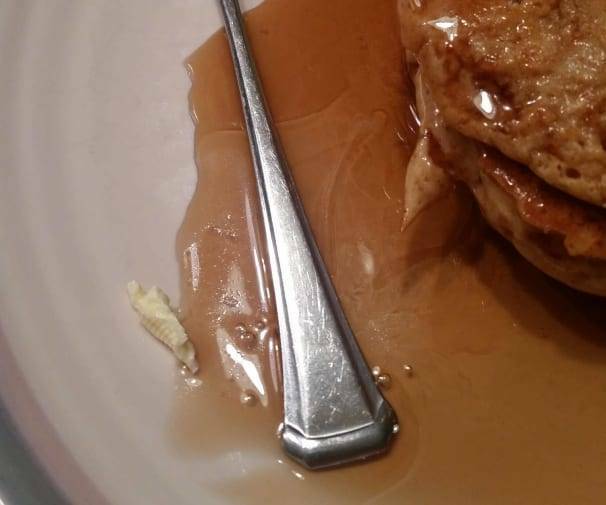 You just want to enjoy your pancakes but now, you have to use a sticky spoon. Those pancakes look good so this sticky handle wouldn’t stop me. While this is nicely put together, there’s just one thing missing. Where’s the door? 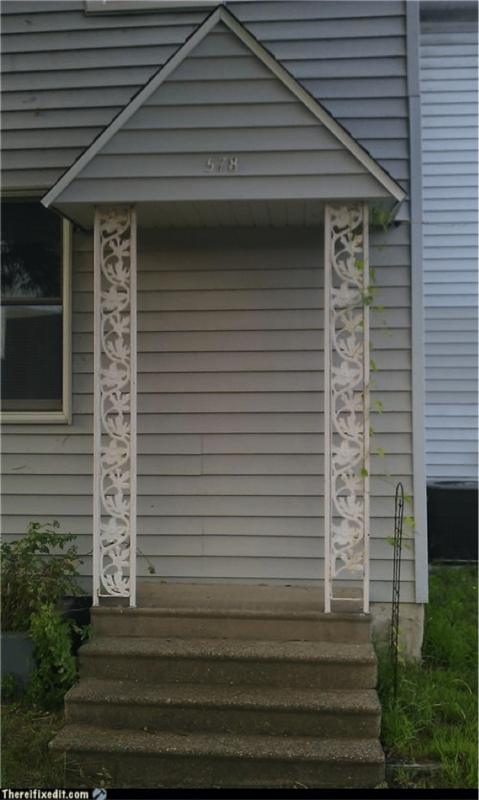 Why go to all this trouble to make a stoop look nice if you don’t add the door? 34) Did They Run Out? Were the decorators trying to be edgy? 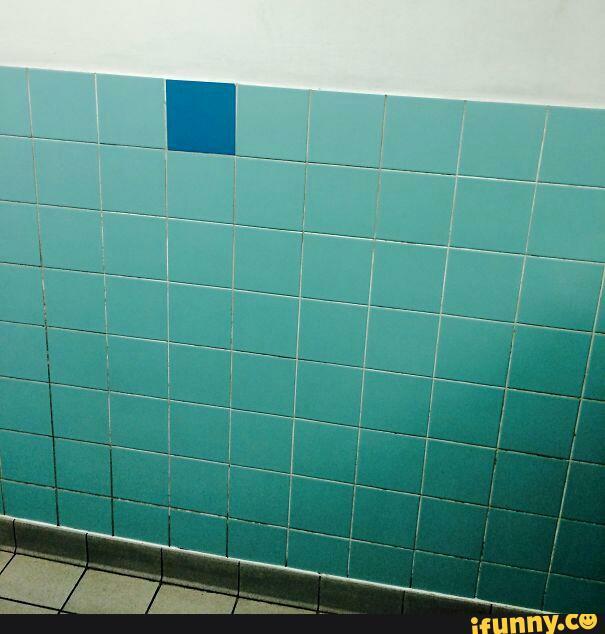 Did they just run out of green tiles? Why add this blue one to the mix? It’s painfully out of place. This started off nice but someone hurried or got drunk. 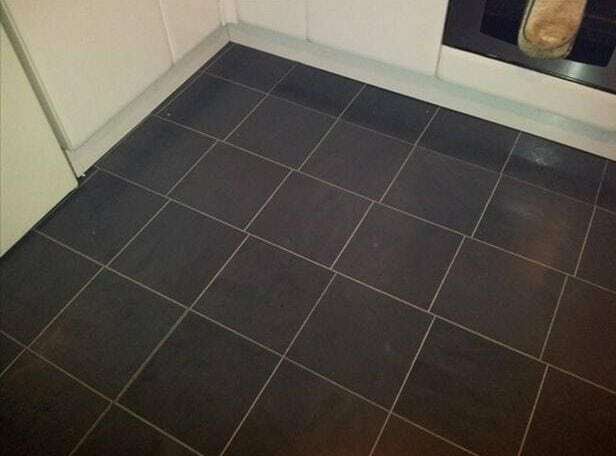 These tiles are just slightly out of alignment. It’s enough to make you feel like the floor is moving. 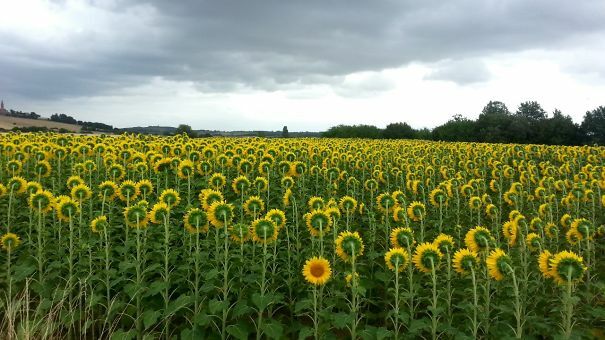 Sunflowers are supposed to face the sun – but this one seems to be a bit confused. Or maybe they just wanted to stand out from the crowd and be an individual. We’ve got to hand it to them for their uniqueness – you be you, sunflower. You be you. 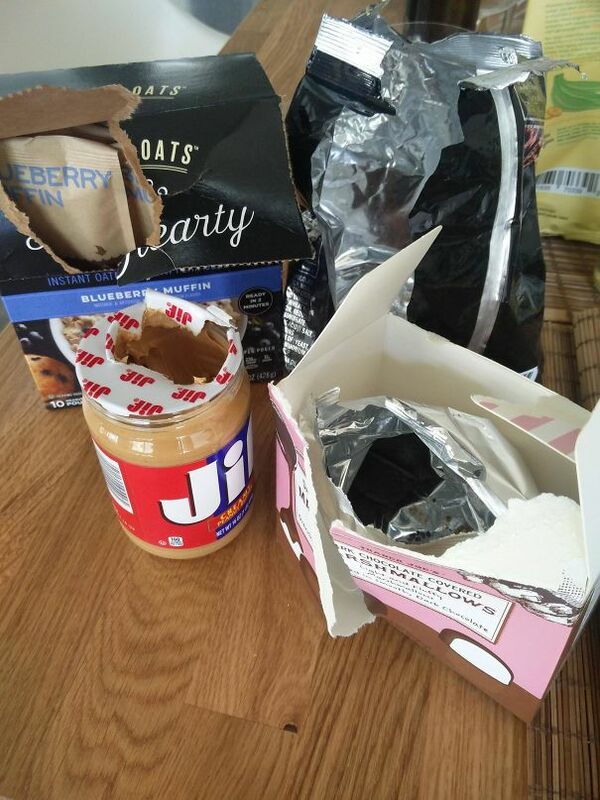 This photo was posted on Reddit with the caption “The way my wife opens things” – and quite frankly, we don’t understand how this person is still married to her. She is clearly a total psychopath. 38) Is this some sort of sick, cruel joke? I literally want to hug the person that had to deal with this infuriating injustice. 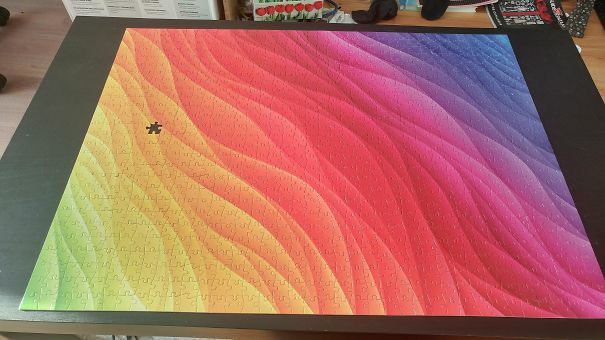 Do you know how much time it would take to complete a puzzle like this? Only to be missing one piece! It’s impressive that they nearly finished it though. And even more impressed that they’re not in jail for the homicide of whoever packed this puzzle. 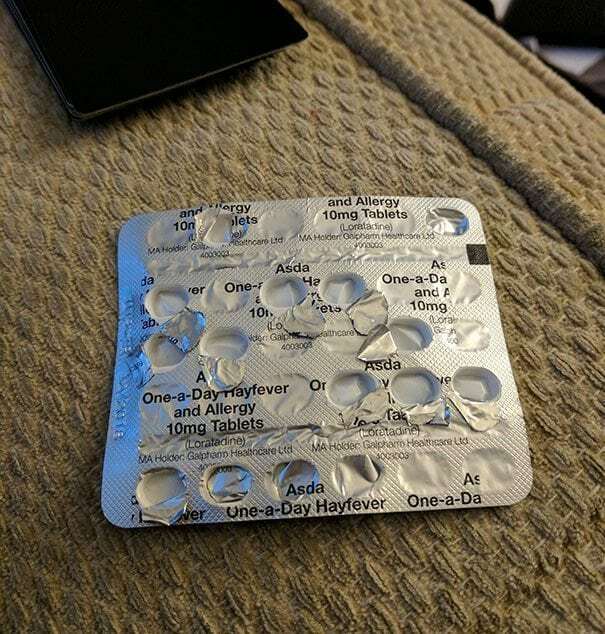 This Reddit user shared this photo along with the caption “I Lost A Loved One Today. I’m Not Sure Which One Yet, But Whoever Cuts Cheese Cake Like This Is Dead To Me.” We feel their pain. What sort of oblivious (or sadistic) person would cut a piece of cheesecake like this? !